In case you haven’t decided if your next smartphone is going to be the Galaxy Note 4, Samsung is keen to push you in what it considers is the right direction. And what better way to do so than with a couple of short and sweet video ads? The company already did a series of videos highlighting how the Galaxy Note 4 is tough and rugged, but now it’s time to talk functionality. 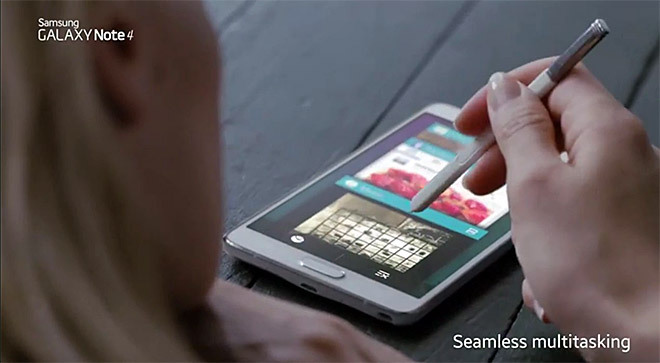 In the two 30-second ads the company highlights the software features it has developed as well as the versatility that the S-Pen provides. We’ve already touched on the feature you’re going to see demoed below in our extensive hands-on of the phablet. The videos are also fun to watch and might help fill in the time while you wait for our full-blown Galaxy Note 4 review.